Intel is recalling Basis Peak smartwatches because they overheat and burn. Intel is recalling its Basis Peak smartwatches because they can overheat and burn you. The watch's heat can "result in burns or blisters on the skin surface," said Josh Walden, senior vice president and general manager of Intel New Technology Group, in a statement. Intel (INTC) said the recall is urgent because it's for the safety of the wearer. The company said that "a small number of customers have reported discomfort, blistering or burns or on their wrist under the watch body." The company urged customers to "stop using your watch and return it" for a refund. 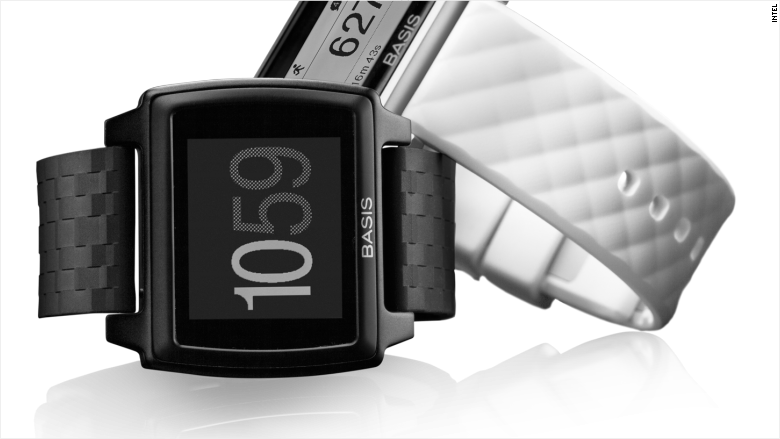 But wearers of Basis Peak wearers can continue to access their data until Dec. 31, the company said. But Intel did not immediately return a message from CNNMoney to say how many customers were injured and how many watches were sold. Intel, which is based in Santa Clara, California, said it acquired the watch company, Basis Science of San Francisco, in 2014. The company said it outsourced manufacturing to China. There are plenty of other smartwatches on the market, including the Apple Watch, though its popularity with customers is dubious at best. Apple (AAPL) reported last month that Apple Watch sales were down 55% since their launch in 2015.